Every business owner faces the new technological era with skepticism and an abundance of caution. While the recent developments in technology have afforded businesses the luxury of reaching more customers worldwide and the opportunity to expand, there are also safety concerns that come along with it. If you are a business owner who feels out-of-the-loop when it comes to technological advances, you are not alone. In fact, many business owners rely heavily on managed service providers (MSPs) to help manage the complex technological side of their business that can be confusing to navigate without the proper skills and knowledge. Unfortunately, if you do not hire the adequate staff to help manage this side of business, then you may be at a significantly higher potential for risk. Although technology has given us the power to run businesses more efficiently, it also gives others the ability to compromise that power through viral or virtual threats. Often the byproduct of such threats is a harmful impact to the business, and likely significant data loss. Data loss puts your business at risk for several reasons, and the effects of data loss can be incredibly damaging if you do not take adequate steps to protect your company’s sensitive information. There are several things that can happen when virtual threats aimed at your business are followed through. 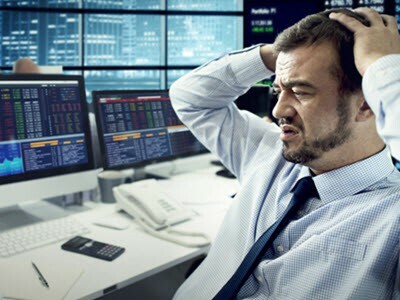 Generally, the risks that are associated with data loss are due to a heavy dependency on technological management techniques for a company’s information and data. While technology comes with incredible benefits, the more it is relied upon for a business, the more opportunity for damage to be done when your data becomes compromised. When data is lost, it is possible that it may never be restored or recovered. This can be devastating to companies who rely heavily on technological data storage. In this instance, if you are the business owner, you will have wished that you kept hard copies of all your business’s data, or at least backed up all of the information to a safe place. Managed service providers are hired with the intent of more effectively managing a businesses data collection, as well as other facets related to the technological side of things. One of the benefits of having a managed service provider is that they are also hired to make sure that proper safety precautions are taken to ensure the security of your company’s data. This means that MSPs are continually working to make sure that your business does not suffer a complete data loss and that steps are taken to minimize virtual threats and prevent security breaches. Another benefit of having a managed service provider is that they have the technological wherewithal to recover any lost data if they are able. When your company loses data because of a virtual attack, it feels like a violation of privacy, and it raises red flags to the people who fund or support your business. While it is difficult to eliminate all potential for virtual attacks, there are things you can do to keep risks to your business at a minimum. You may have seen businesses in the news that have become technologically compromised issue apologies and responses to their customers regarding the concern for the security of their own personal financial information (i.e. credit card information). This is an embarrassing task for companies to deal with, and regardless, the damage control must ensue. When you hire a knowledgeable team of experts who can help with the technological side of your business, you are lowering the risk of potential threat. Data loss is a huge difficulty that technologically-based companies struggle with daily. Preventive measures, interventions, and solutions to breaches of security are at the forefront of every business owner’s concern these days, and it is best to avoid the harmful effects of data loss altogether. It can result in loss of sales, lawsuits, fines, identity theft, and other disastrous effects that are harmful to businesses as well as their patrons. It is critical that business owners take the necessary steps to protect their data and posses the ability to confidently reassure their customers that they are competent and trustworthy.